Write on surface has FINN-Line exclusive ability to accept ball point pen and erase. Adheres securely to a flat wall or surface and removes cleanly when desired. • Write on surface has FINN-Line exclusive ability to accept ball point pen and erase. • Adheres securely to a flat wall and removes cleanly when desired. 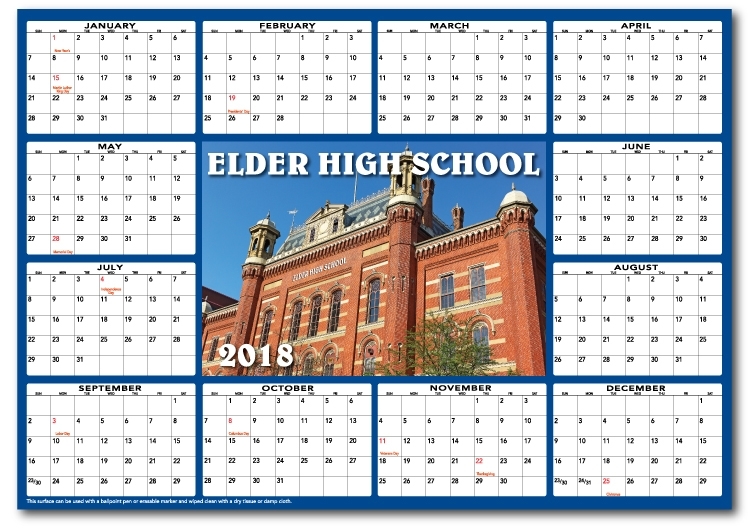 • Calendar can be rolled for distribution.